Mental health is one of the least discussed issues in academic circles. Statistics show that universities around New Zealand have slowly begun to employ measures to make sure the mental health and well-being of students is given higher priority. Employment of more counselors, psychiatrists, free of cost counselling sessions, international students’ groups/clubs and formation of other student groups within the campus have been some of the measures that leading universities within New Zealand have undertaken over the recent years. In our attempt to reach out to those in the society who need help, UiRevolution created Mind Dojo. The app is specially designed for those who are on the lookout for some inspiration, assistance in times of anxiety or any forms of emotional distress. Mind Dojo makes sure that everyone finds a right channel to communicate their feelings. Mind Dojo drew inspiration from Inspired Learning along with the advisory assistance of Dr. Mark Thorpe, a clinical psychologist and the head of the Department of Psychology at Auckland University of Technology, New Zealand. Another figure who inspired the creation of Mind Dojo was Jasmine Murphy, senior psychologist at ProCare Health. 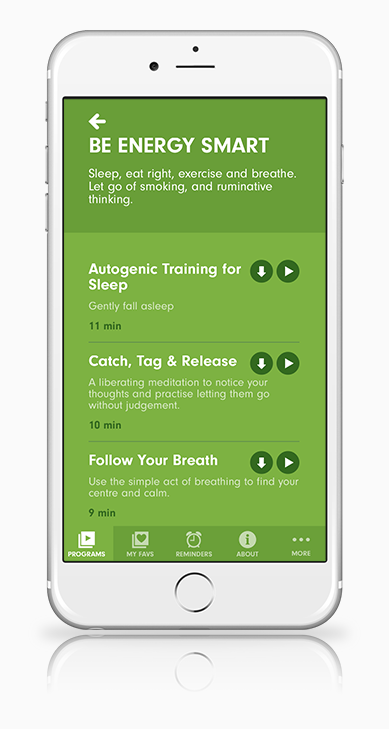 Mind Dojo is a Mobile App that uses a wide range of tools including auto-suggestion, body monitoring, cognitive behavioural therapy, compassion focused imagery, gestalt therapy, guided visualizations, mindfulness, meditations, metaphor and storytelling, neuro-linguistic programming, self-hypnosis and breathing in yoga. Mind Dojo gives you TIPS, TOOLS, STRATEGIES and GUIDED AUDIO SUPPORT to enhance your experience in building resilience and mental strength. 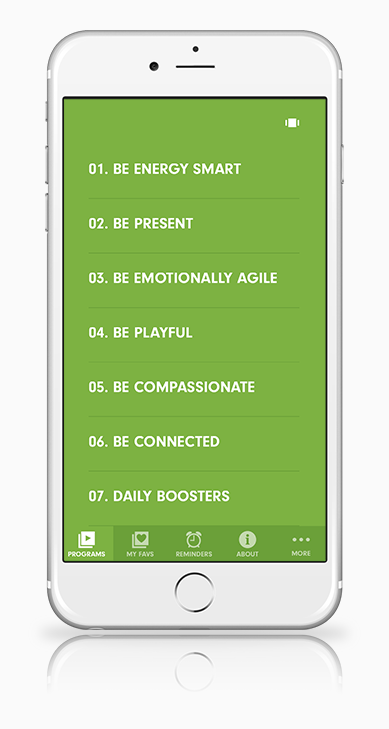 Mind Dojo is an iOS-based mobile app which enables you to access these wonderful features right at your fingertips! Users can log into the mobile app using their Facebook credentials or their unique sign-in credentials created through the app. Once you log into the app, the welcome screen would show you a list of programs to choose from depending on what you need assistance with. So, everything depends on your mood we’re here to serve only the best for you. Mind Dojo has a wide range of features that have been divided in to seven broad categories or programs under which you can find several audio clips. Each of these seven programs work towards helping with different issues. These programs urge you to take a step back from all the hustle-bustle of your life and focus on your innerself. Each of these programs work on building a self-reflective exercise helping you recognize your problems. You get to be the one to choose what you want to listen to! Tag and save your favourite audio clips under the MY FAVORITE tab. Mind Dojo is a friendly space for those who are looking for help to access these options easily. For users who need more help, the app navigates them to better options. Mind Dojo is available for Download on iOS.